or have the veils of Layla been lifted from Her essence? longing which are Her goblets called out to him. goblet. There is no blame. Drink! for the wine is Her speech. manifests Herself through forms whose every light varies. depth of Her being. Look at the attributes of the Beloved manifested in you. becomes a humble slave and seeks Her out. embraced a meaning from which it is unlawful to separate. subtle knowledge of Her is Her proof. In the history of human race where every single day, every single year - thousands to millions of people are being born and every single day, every single year - thousands to millions of people are passing away from the world in an never ending pilgrimage - if we stop for a moment and think about those rare human beings who managed to become immortal by virtue of their chosen place in human history, it comes to clash with our ordinary sense. This is even more so because many of these rare human beings whom as collective human mind we still remember after millennium, often time were people who used to veil themselves (they didn't hire expensive PR firm, they didn't have their interviews recorded and aired all over the world on CNN, they didn't have billion dollar media campaign for them) but they were people of utter simplicity, people of grand solitude, people who were wanderer, people who didn't have any permanent place of living, who didn't live and die in a world of media and communication, but in their time information and knowledge used to move at a very slow pace. Under such unusual context when we find ourselves inheriting memories of these extra-ordinary individuals who are mentioned by their name, who's simple acts are still remembered, who's unassuming words are still echoed, who are revered across many traditions, this phenomenon alone, even from very secular, logical perspective tells us that these people were no ordinary human beings; and from spiritual perspective they were without doubt are those who received special grace. Immortality (al Hayy) is a Divine attribute and Allah bestows it in proportion to those who are worthy of it by virtue of their ikhlas (sincerity), purity of heart and lived actions. Those rare human beings who has become unfading remembrance for the rest of us are only so because they received their share of al-Hayyic divine quality, for the world is infinite manifestation and reflections of Divine attributes. 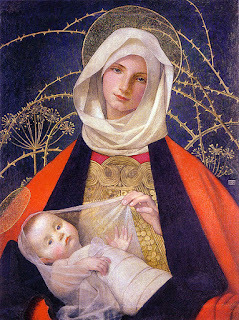 Among such pure and rare human beings, who walked upon this earth for a short period with exclusive devotion to God, who lived very privately and more significantly - was a woman who grew up in a deeply patriarchal society - yet who's memory and remembrance is sanctified by the grace - Sayyidatna Maryam, the Noble Mother Mary is that rare face. O Maryam! Verily, Allah has chosen you, sanctified you and chosen you above all the women of creation. So her Lord accepted her with good acceptance. He made her becomecomplete in a good manner and put her under the care of Zachariya.Every time he entered al-Mihrab to visit her, he found her supplied with sustenance. 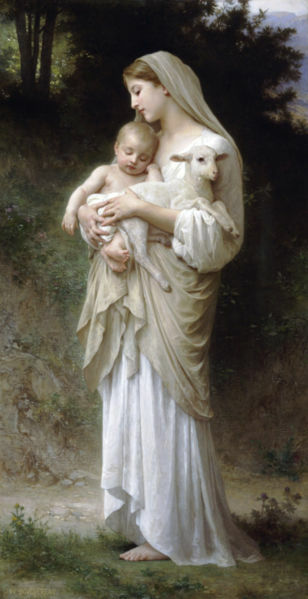 In Islam, Mother Mary is known by her exalted titles such as The Virgin, The Purified, The Exalted, Mother of Jesus (upon him be perfect peace), Keeper of Chastity, Mystic, Female Exemplar, Maternal Heroine, Queen of the Saints. So great was the Prophet's own respect for Sayyidatna Maryam that upon returning in conquest to Mecca, he ordered that all of the images and imaginary idols of the Ka'bah be destroyed, excepting only two icons: one of an old man, said to be Abraham (a), and another of the Virgin and Child, which he protected with his own hands. Being the successor of Christ's mission in the world, Prophet Muhammad, upon him be Allah's peace, used to say, "none of you are more nearer to Isa ibn Maryam (Jesus, the son of Mary) than I am" and he would always speak with honor whenever mentions of Sayyidatna Maryam was made. Jesus was always referred without exception as "Isa ibn Maryam", connecting him with his venerable mother, Mary. There is a Sufi Branch which finds itself under the grand Shadhili Sufi Order and received it's inspiration from Sayyidatna Maryam as she appeared to the representative of this Sufi Order, Shaykh Isa Nur al-Din Ahmad. Maryam is identifiable with esoteric Truth (Haqiqah) inasmuch as she is a secret Revelation. “Doth thy velvet arm bear me aloft to thee? Doth thy mantle silently descend upon me? I dissolve in the fragrance of thy soul. "I invoked the two Names quite independently of any doctrinal perspective and thinking only of God. Then all at once I felt a powerful Presence: in it there was golden warmth, beauty, love, mercy and I - who had not in the least been thinking of the Holy Virgin - suddenly knew that it was she. For a long while this state of grace continued, and I was as if inebriated from it." This experience seems to have been only a foreshadowing of something greater to come, however, for in March of 1965, at a time when he was faced with particular difficulties and sufferings, Mary came to him, he writes, in a yet more profound and decisive way. He was on his way to Morocco, and the ship had called at Port-Vendres along the French coast. Alone in his cabin, gazing into a bouquet of flowers, "I sought to explain to myself certain difficulties," and "to imagine, with regard to Paradise, what is imaginable; it was as if I were in a waking dream; in my consciousness nothing remained save of Paradise. Then all at once," he continues, "the Divine Mercy overwhelmed me in a special manner; it approached me inwardly in a feminine form which I can not describe, but which I knew to be the Holy Virgin; I could not think otherwise. Later during the trip, when he was staying in the Moroccan city of Tetuan, "the undreamt-of grace came to me anew," once again in the form of an inner vision - "the heavenly consolation, streaming forth from the primordial femininity" - and as with all truly celestial experiences, it left him feeling, "a new man," forever changed ... "I was as if marked by Heaven. It was though I lived in a special protective aura belonging already to Heaven, which at the same time carried with it an obligation." He would later describe these moments as affored him "a mystical contact" with Mary and as signs of his "heavenly adoptation by her" - an adoptation and protection, he affirmed through which the Virgin had become the patroness of his disciples as well. Hence the name of his Sufi order, Tariqa Maryamiyyah. If someone asks in good faith how he could have come to know what he taught, the answer in part is that he was instructed by the Blessed Virgin herself, for these can be little doubt that had it not been for these miraculous encounters, his understanding of the Divine Femininity would have been less intimate and his Mariology correspondingly less profound. we may feel graces, but we may not base ourselves upon them. God will not ask us what we have experienced, but He will ask us what we have done." 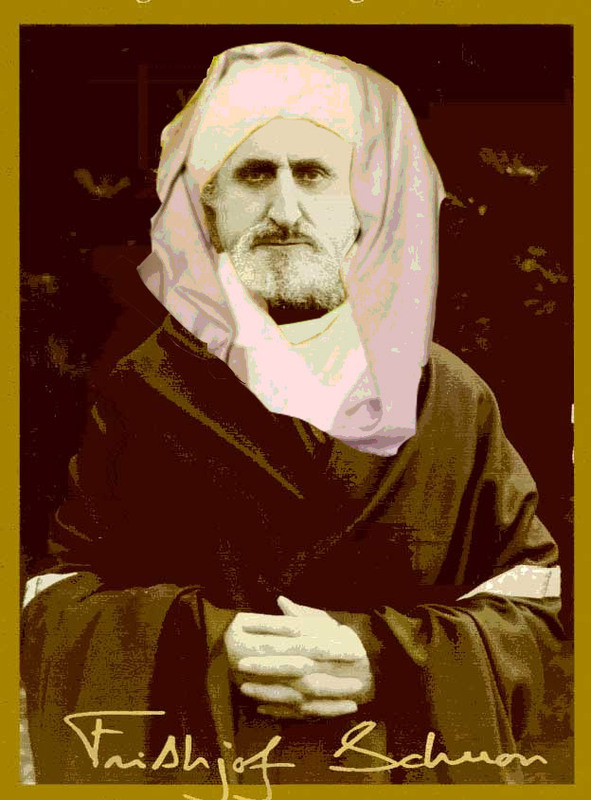 Martin Lings (Sidi Abu Bark Siraj ad Din) recounted his experience of being led to the Tariqa (as shared in Firthjof Schuon: An Autobiographical Approach), in the late 1930s, in response to his prayers to the Virgin, though it was only years later that he came to realize what the connection had been all along. He and other disciples in Europe had asked Schuon to add a further name to that of his own shaykh, the Shaykh al-Alawi, in order to distinguish their spiritual community from 'Alawiyyah Sufis in North Africa. "To our surprise (Schuon) said, "Our Tariqah is Maryamiyyah," that is, of Mary, and he told us that more than once she had made to clear to him that she had chose us for herself, and that was our protective patroness. He went so far as to say: 'It is not we who have chosen her; it is she who has chose us.' And so, after all, my Ave Maria, repeated such a multitude of times, had not been out of line with my final orientation""
"Since that experience I could scarcely paint anything other than the Holy Virgin... I painted her, not as she is portrayed in Christian religious art, but as I had inwardly experienced hear, that is as virginal Mother or as motherly Virgin, and beyond all the theological forms, as the embodiment of the Divine Mercy and at the same time of Religio Perennis, somehow uniting in her person Christianity, Islam and Hinduism, in conformity with my own nature ...in my pictures of Mary there is something of the golden, earth-remove barakah..."
In a letter in 1981 Sidi Schuon wrote, "There are Sufis who claim a mystical connection with a particular Prophet: they are Ibrâhîmî, Mûsâwî, Îsâwî (that is, of Abraham, of Moses, of Jesus) as may be seen from the Fusûs al Hikam of Ibn ‘Arabi. It is thus our Tarîqah is Maryamî - the Shaykh Al-‘Alawî having been unquestionably Îsâwî”. 1. In organizational terms, it is an independent branch of the Alawiyya, which is itself an independent branch of the Darqawiyya, which is itself an independent branch of the Shadhiliyya. 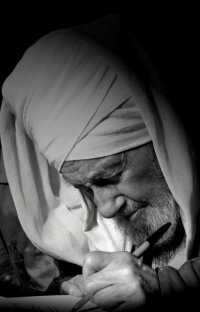 It is independent in the sense that it operates independently of the tariqa from which it derives, and in the sense that its practice, prayers, and teachings differ in certain respects from those of the tariqa from which it derives. The same is true of the Darqawiyya and of most other tariqas in existence today. 2. In personal terms, Frithjof Schuon is a link in a chain (silsila) passing through Ahmad al-Alawi, Muhammad al-Arabi al-Darqawi, Abu’l-Hasan al-Shadhili, and then through both Ali ibn Abi Talib and Abu Bakr to the Prophet Muhammad, and thence to God. The question of whether or not (or how) Schuon was authorized as a muqaddam by al-Alawi has no bearing or impact on this. 3. In personal and organizational terms, the foundation of the Maryamiyya as a distinct tariqa seems to result from the authorization said to have been given to Schuon in a vision by the Virgin Mary, just as the foundation of the Alawiyya as a distinct tariqa results from the authorization said to have been given to al-Alawi in a vision by Ali ibn Abi Talib. While such forms of authorization are not universal, they are very common. Schuon was deeply interested in the implications of Marian gnosis and method which can be discovered in two Quanic passages in particular. The first, the verse of the Mihrab or Prayer niche, speaks of the virgin's presence in the Temple, where she has been brought as a child of three, and where she lived until she was taken under the care of Joseph - Zachariah. Her Lord accepted her with full acceptance and vouchsafed to her a goodly completion; and made Zachariah her guardian. Whenever Zachariah went into the sanctuary (Mihrab) where she was, he found that she had food. He said: O Mary! Whence cometh unto thee this food? She answered: It is from Allah. Verily Allah provideth sustenance beyond all reckoning for those whom He will (Surah 3:37). It is the belief of Islam, as it is of Christianity, that the Blessed Virgin was miraculously sustained during these years by celestial food which was regularly brought to her by the angels. The Schuonian Mariology tells us that not only does her life in the Temple help to instruct us as to the virgin's own stature in the Divine economy; it provides the spiritual pilgrim with a powerfully attractive model of what his own state of life should be like. On the other hand, writes Suchon, since "Mihrab is equivalent to the Holy of Holies of the Temple", it follows that "at the time of the presence of the Virgin in the temple, she was the high priest," and since esoterically "the Mihrab is the heart", she herself was "the Holy of Holies." Recalling the East which she faced (Surah 19:16) as she performed her priestly functions, Schuon adds, "It is noteworthy that the Virgin is Stella Matutina, an allusion to the East, which in our symbolism denotes fervor. 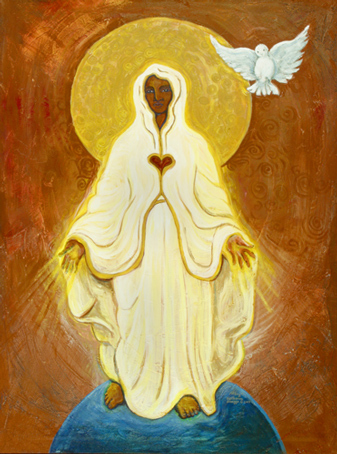 Aside from this particular meaning, the East represent the coming of light, and it is thus the Christian tradition interprets the Marian title, 'Morning Star'; now fervor derives from light just as in principle light and heat go together.Mary's seclusion becomes in turn an example for others, for indeed Maryam is the inner soul which invokes and which by that fact, is withdrawn from the world. According to certain Quanic commentators on the phrase "she placed a veil between her and her people" (19:17), the sanctuary of the Temple was separated from the outer court by a series of veils, seven in number, which "become seven doors," Schuon writes, "which Zachariah had to open with a key each time he visited Mary in the Temple. What this veiling signifies for the spiritual traveler is that "the Holy Virgin represents the khalwah or spiritual retreat." As for the food with which Mary was nourished during her time of retreat, Schuon teaches that what it refers to finally is God Himself, whose Names she invoked without ceasing. "Sayyidatna Maryam was nourished in the Temple (the Mihrab) by celestial foods." Schuon choose to emphasize the link with the sacrament of the Name and the method of Dhikr or Invocation. "One can say that the supreme Name is at once Food and Drink; it is the Divine Fruit which combines all the gifts which make us live." To say that the Holy Virgin received diverse fruits means that she lived by Divine Names, according to the double relationship of Ambrosia and Nectar. According to Sidi Schuon, Blessed Virgin and the Prophet of Islam occupy in the formal economies of the two traditions. "The function of the Prophet is analogous and symbolically even identical to that of the Virgin Mary, who was likewise the 'ground' for the reception of the Word." Mary, fecundated by the Holy Ghost, is Co-Redemptresss and Queen of Heaven, while the Prophet Muhammad, inspired by the same Paracletic Spirit, is Messenger of Mercy (Rasul ar-Rahmah) and 'Lord of the Two Existences (Sayyid al-Kawnayn), this world and the next. The Virgin is immaculate and from the merely physical standpoint, 'virgin', while the Prophet, like the Apostles, is 'illiterate' (ummmi), that is to say, pure from the taint of human knowledge or knowledge humanly acquired. Allahumma salli ala Sayyidina Muhammad. O Allah! please send your divine peace upon our Noble Master Muhammad. Maryam holds the stature of Prophetess. Maryam is mentioned together with other Messengers in the Surah 'The Prophets (al-Anbiya)", furthermore, her story is related with care and praise, which would be inconceivable for an ordinary saint (waliyah), but which accords perfecltly with what the Prophet himself said in describing her as the Queen of the women saints in the Paradsise. And according to Sidi Schuon, "all this would provide, if proof were necessary, the supereminent rank of Maryam, that is to say her quality of Prophetess (Nabiyah). Schuon himself actually went to some lengths in helping Christians to understand the deeper significance of traditional Marian teachings, and in highlighting their consistency with his own expositions. The Virgin is clearly one of those mysteries - perhaps indeed the most important of all - which the (Christian) Church has for so long been so good at protecting that Christians seem themselves nearly to have forgotten its deepest significance. Holy virgin is "exteriorization with a view to interiorization", visibleness of the Invisible, she is the merciful Inward in the outward, and hence the merciful way to the Inward, she is prayer become man, and thus also Paradise become man. “If Eve, issued from Adam, symbolizes the fall, the Holy Virgin, from whom Christ issued, symbolizes victory over the serpent," declares Sidi Schuon. James S. Cutsinger writes in his article, Colorless Light and Pure Air: The Virgin in the Thought of Frithjof Schuon: Schuon sought to express his Marian doctrine in terms borrowed from the scriptures of the Abrahamic traditions and in light of their orthodox commentaries. 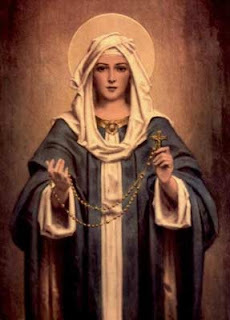 He was after all a traditionalist, who always insisted that an operative spirituality must be grounded in one of the great revelations bestowed by Heaven, and as one who had lived in the two worlds of Christianity and Islam, his continual fascination with what the Bible and the Koran have to say about Mary is not unexpected. 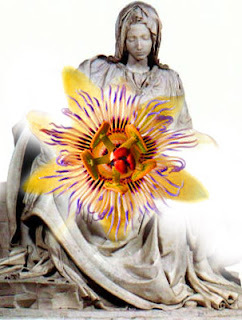 But he was at the same time a metaphysician and master of gnosis, whose message was that of pure esoterism, and it also makes perfect sense that his perception of the Virgin’s presence and meaning would not have been confined to those worlds. It is possible to glimpse at least something of the universal scope and plenitude of the Blessed Virgin by considering first the implications of a title accorded her in Islamic mysticism. As we have just noted, there is good reason - even on exoteric grounds - for calling Mary a Prophetess, but among certain Sufis a further “paracletic” step is sometimes taken in which she is referred to as the “Mother of Prophecy and of all the Prophets,” a phrase to which Schuon returns a number of times in his writings. What this formulation helps to make clear, he explains, is a dimension of the Marian reality which might not otherwise have been discerned at the level of scriptural exegesis - namely, that “the message of the Blessed Virgin,” understood in its essence, “contains all the prophetic forms possible in their universal and primordial indifferentiation.” On the one hand, of course, her message has to do with her Son; theologians have pointed out that the only time she speaks publicly in the Gospel is on the occasion of the wedding feast in Cana of Galilee, when, referring to Jesus, she tells the servants, "Whatsoever He saith unto you, do it" (John 2:5). They seek only to praise the greatness of her Son. The divine Ray, which was in the beginning. And then filled with God’s Presence. But also her beauty’s radiant sacrament. Woman, synthesizing in her substance virgin nature, the sanctuary, and spiritual company, is for man what is most lovable, in a certain respect she represents the projection of merciful Inwardness in barren outwardness, and in this regard she assumes a sacramental or quasi-divine function. 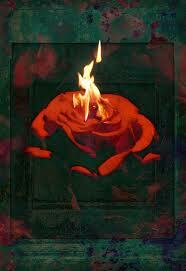 The alchemical role and the dissolving power of women's beauty which triggers the liquification of the hardened heart. Metaphysically, femininity is kind of reverberation of the "unlimitedness, virginal mystery, and maternal mercy" of the Divine Feminine Principle Itself. As sacred practice, you may invoke the following Quranic verses in original form as an invocation of blessing with attention to the heart, which in turn should be directed towards Sayyidatna Maryam. It is an Islamic Ave Maria, so to speak for those who are familiar with it, glorifying the status of the Blessed Mother. above all the women of the worlds. Allahumma salli ala Sayyidina Muhammad Mustafa. O Allah, please send your peace upon our noble master Muhammad, the chosen one.